WE ARE CLOSE TO HERSHEY'S EVENTS, AMUSEMENT PARK, FACTORY, CONVENTION CENTER, AND MEDICAL CENTER. FOR MEALS YOU CAN WALK TO A VARIETY OF RESTAURANTS CLOSE BY WITH A 24HOUR FOOD AND SANDWICH STORE. COME STAY WITH US FOR AN ENJOYABLE BUSINESS TRIP, VACATION, OR WEEKEND GETAWAY. OUR STAFF WILL GREET YOU WITH A SMILE AND A WARM WELCOME.Credit card charged at time of booking. Cancel 72 hours prior to arrival date with a 25.00 USD cancellation fee. 2 D BEDS 2 Double Beds This 2 double beds room will hold up to 3 people with a maximum of 1 rollaway bed. This room includes a microwave, refrigerator, coffee maker, desk, hairdryer, table, alarm clock cable tv, direct dial telephone, and free local calls. 3 D BEDS NS 3 Double Beds NS This 3 double beds nonsmoking room will hold up to 6 people. This room includes a coffeemaker, microwave, refrigerator, desk, hairdryer, table, alarm clock, cable tv, direct dial telephone, and free local calls. 2 D BEDS N/S 2 Double Beds NS This 2 double beds nonsmoking room will hold up to 5 people with a maximum of 1 rollaway bed. 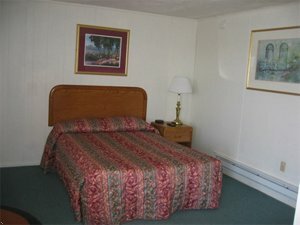 This room includes a desk, table, cable tv, direct dial telephone, and free local calls. 1 D BED NS 1 Double Beds NS This nonsmoking room will hold up to 2 people. This room includes a desk, table, cable tv, direct dial telephone, and free local calls. 1 K BED NS 1 King Bed NS This 1 king bed nonsmoking room will hold up to 3 people with a maximum of 1 rollaway bed. This room includes a coffee maker, microwave, refrigerator, desk, hairdryer, table, alarm clock, cable tv, direct dial telephone, and free local calls. FROM THE EAST - FROM READING OR LEBANON, PA TAKE ROUTE 422 WEST MAIN ST NEXT DOOR TO WENDY'S. INN IS ON RIGHT SIDE, 7 MILES. FROM THE WEST - FROM HARRISBURG, PA TAKE I-83 TO ROUTE 322 EAST TO ROUTE 422 EAST MAIN STREET, NEXT DOOR TO WENDY'S. CONTINUE 5 MILES TO PROPERTY ON LEFT PAST MCDONALDS. FROM THE NORTH - TAKE I-81 SOUTH TO EXIT 85 TO ROUTE 934 SOUTH TO ROUTE 422 WEST MAIN STREET, NEXT DOOR TO WENDY'S, DRIVE 3 MILES TO THE INN ON RIGHT AFTER CARWASH OR TAKE I-78 WEST TO I-81 SOUTH TO EXIT 85 TO ROUTE 934 SOUTH TO ROUTE 422 WEST. DRIVE 3 MILES TO INN ON RIGHT SIDE AFTER MCDONALDS. FROM THE SOUTH - TAKE I-83 NORTH TO ROUTE 322 EAST TO ROUTE 422 EAST, MAIN STREET NEXT DOOR TO WENDY'S, CONTINUE 5 MILES TO INN ON LEFT NEXT TO MCDONALDS. Childrens playgroud, Mini golf, baskettball hoops, and picnic tables on premises.